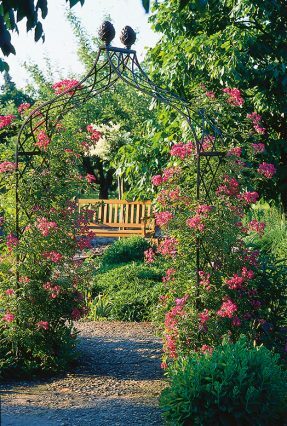 This portfolio will give a few ideas with whom we work and what kind of works Classic Garden Elements provides to their clients. 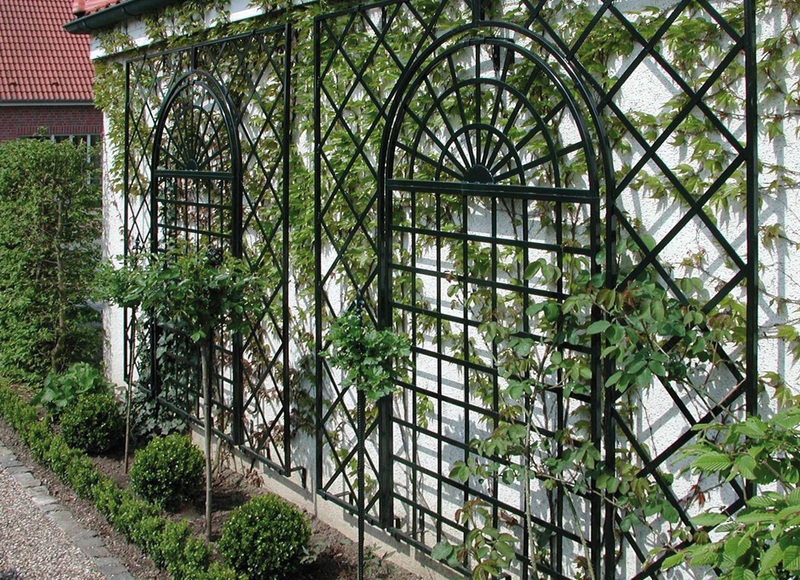 Classic Garden Elements was started in 1998 and from the very beginning manufactured trellis works in metal for gardens and other outdoor areas. 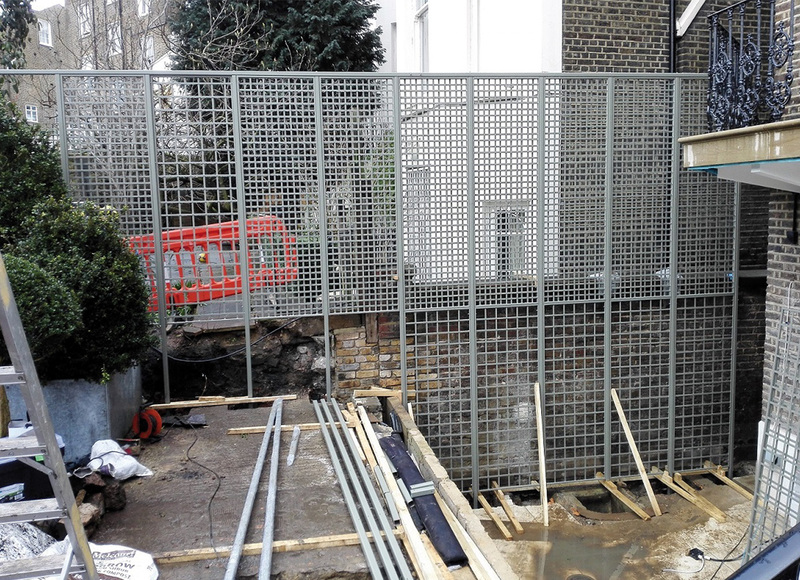 We use hot-dip galvanised steel, aluminium and stainless steel. 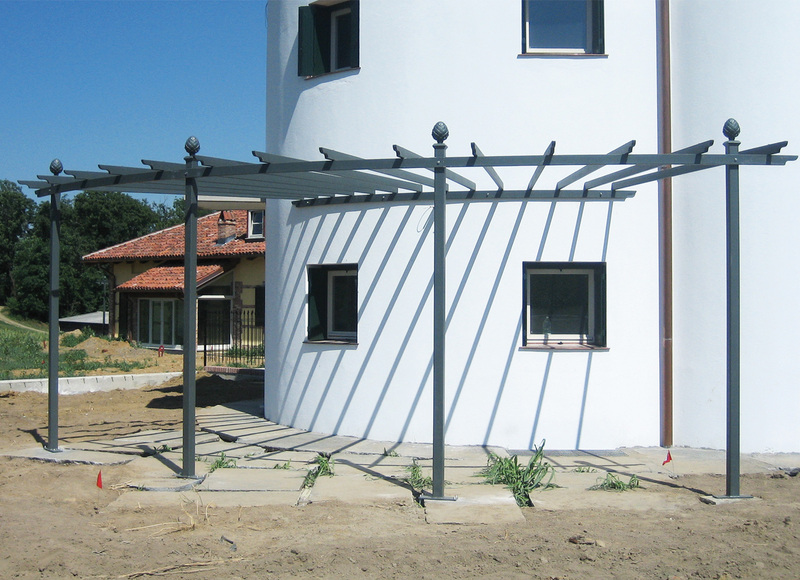 Such we are experts on these materials. 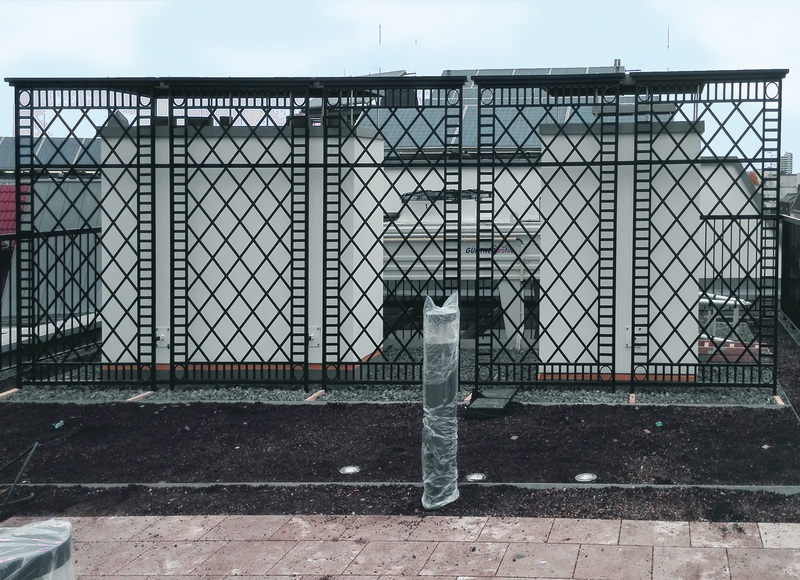 Apart from manufacturing we assemble and install larger bespoke projects ourselves and have garnered all the necessary know how. 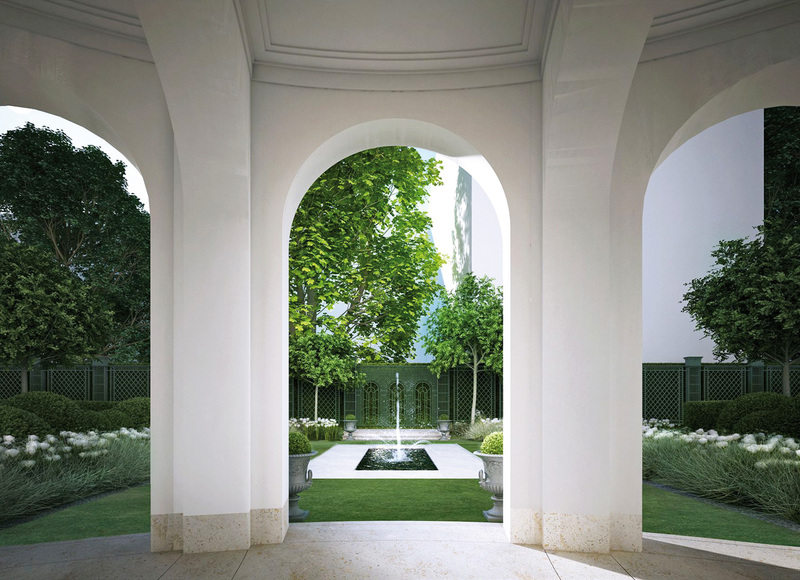 We serve the needs of private garden owners but also focus since many years on larger scale projects as required by real estate developers, golf courses, hotels, public parks, spas and recreation facilities. 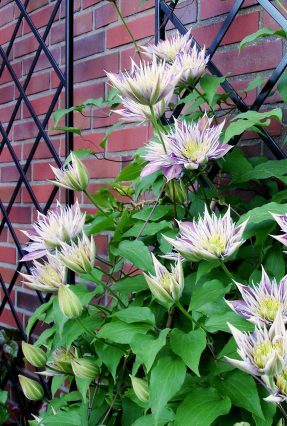 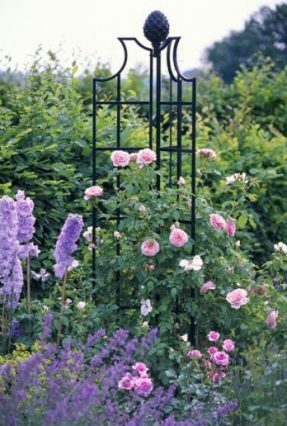 Classic Garden Elements is by now a household name with garden designers and landscapers once it comes to metal trellis works in the garden or other open grounds. 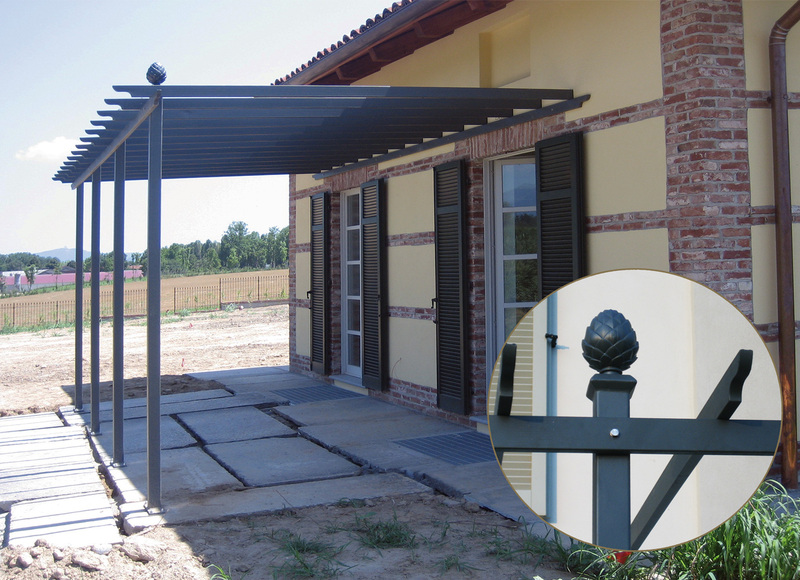 Our works are delivered in Europe and overseas and we will send our engineers and their team anywhere to install the fine structures manufactured by ourselves. 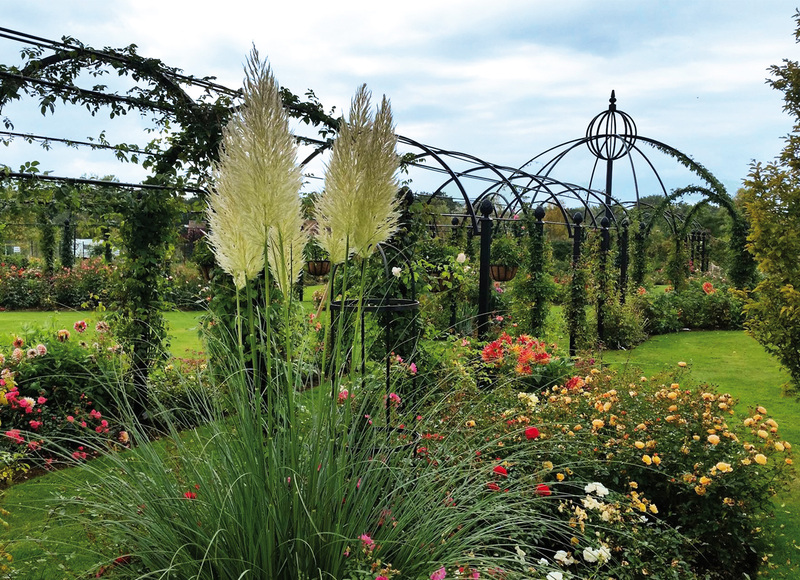 A German company, based near Frankfurt am Main, Classic Garden Elements stands for top quality, reliability and a no worries service for their clients. 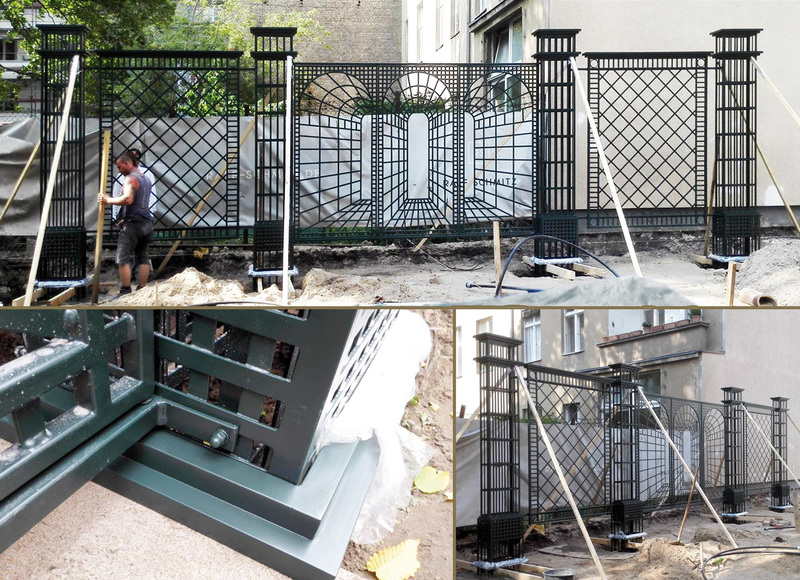 Bespoke freestanding Treillages style trellis works in the courtyard garden of a new Berlin luxury appartment complex designed by Italy’s Bottega Veneta. 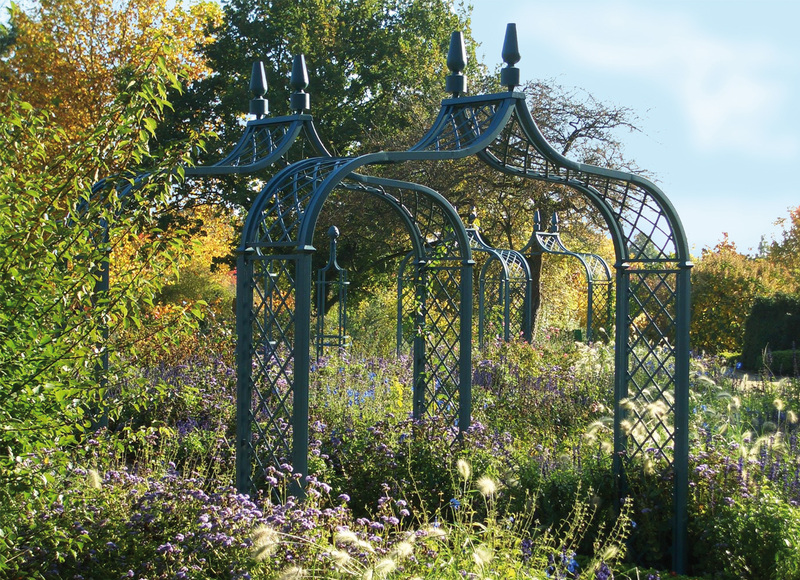 Bespoke pergolas for a gated country house retreat. 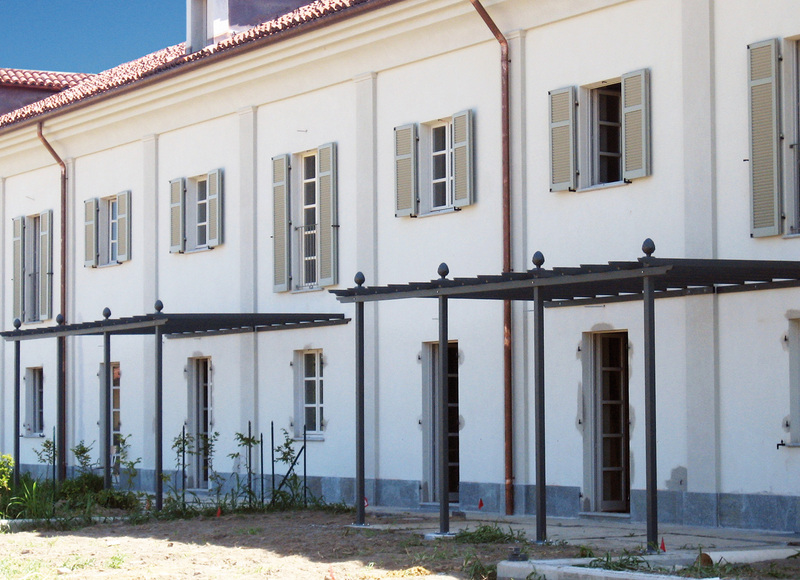 Manufactured and installed for an Italian Real Estate Developer. 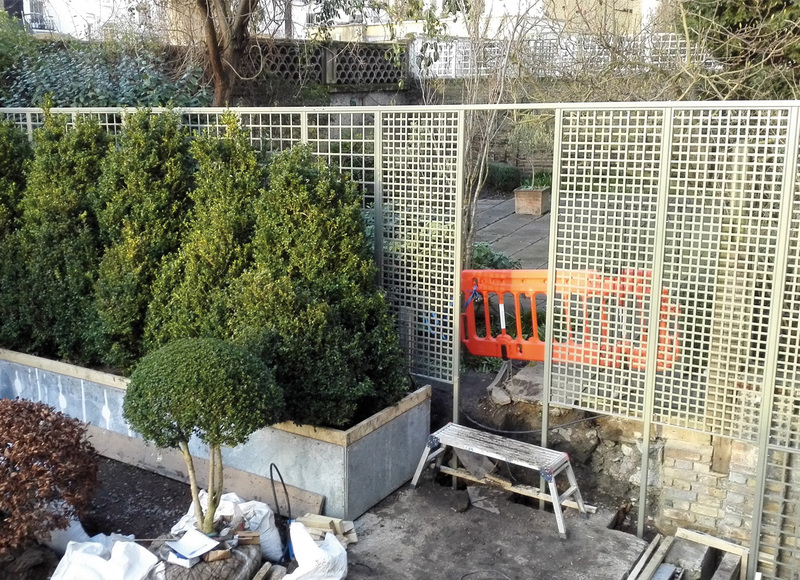 Bespoke modular trellis works for an Embassy’s small city garden at Holland Park. 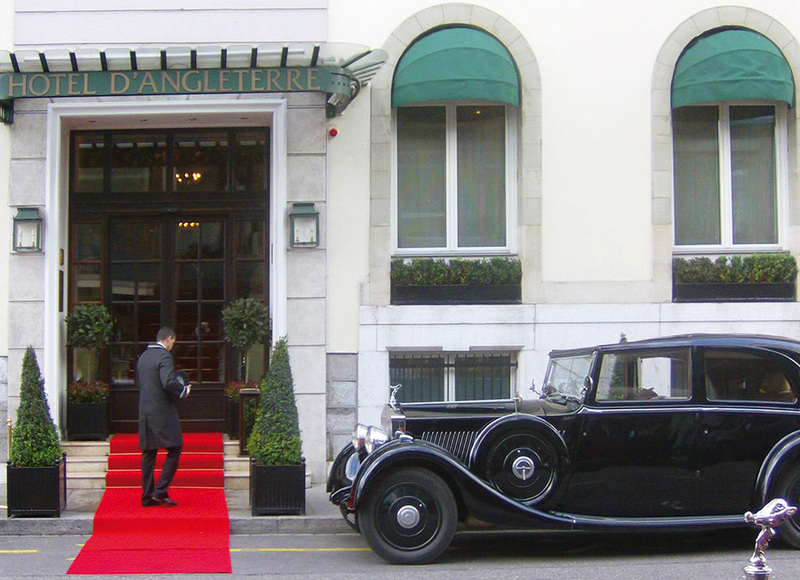 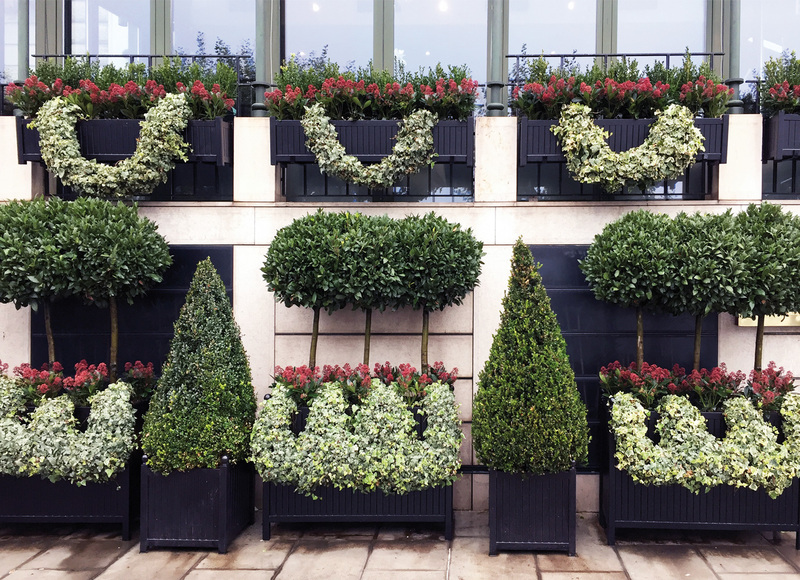 A selection of bespoke Caisses de Versailles planters for the Hôtel d’Angleterre at Geneva. 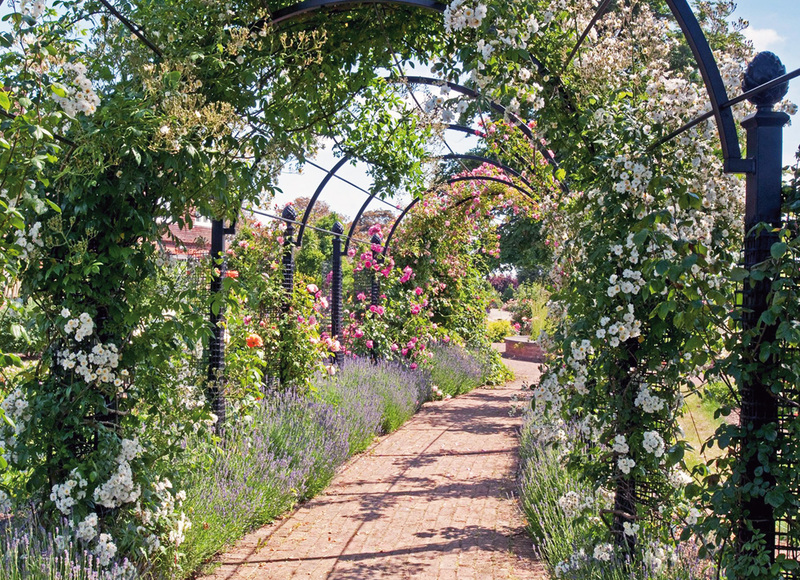 Arches, pergolas, pillars and tunnels for the private parks and stable grounds of former show jumping champion and winner of Olympic Gold Medals, Ann Kathrin Linssenhoff. 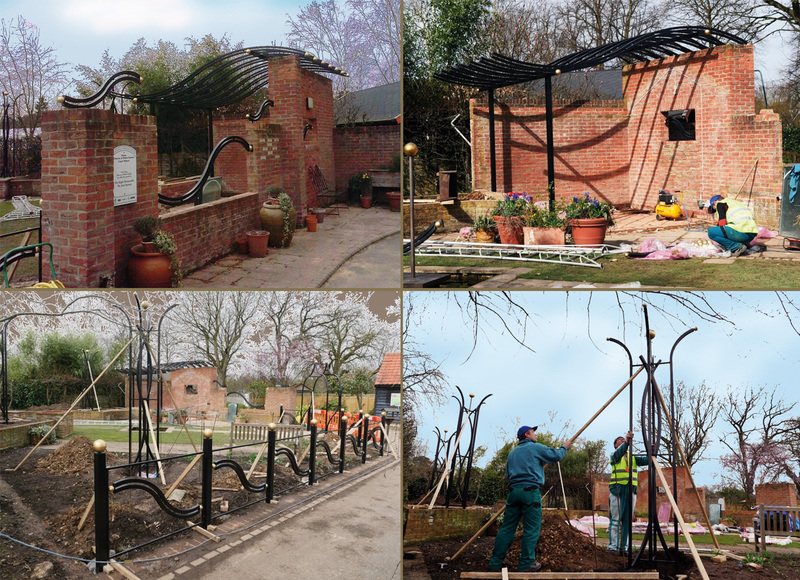 Bespoke trellis works manufactured and installed by Classic Garden Elements for the Princess Diana Memorial garden at Capel Manor Gardens in Enfield next London. 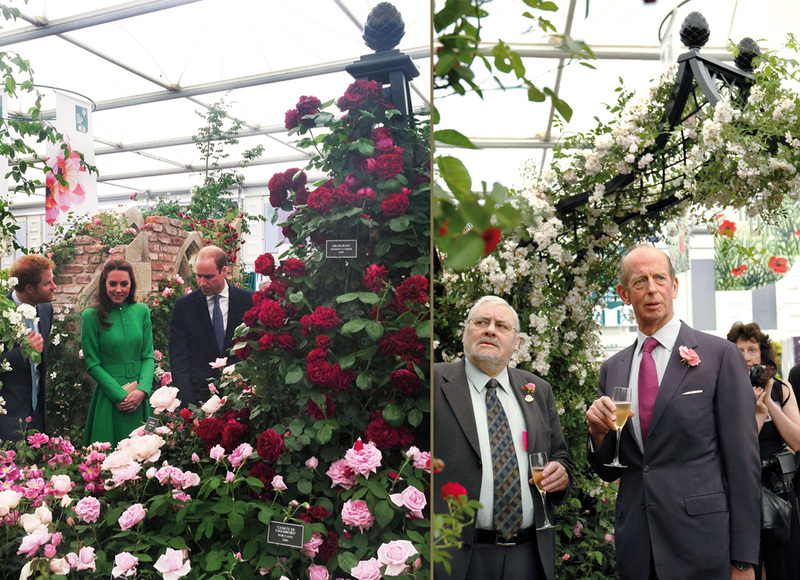 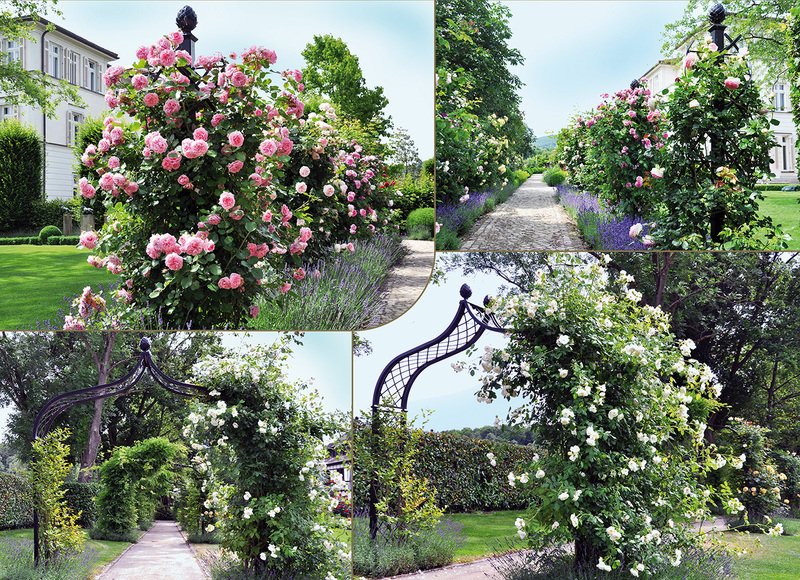 The rosarium is one of our showgardens since it was established in 2002 together with our UK representative, Peter Beales Roses. 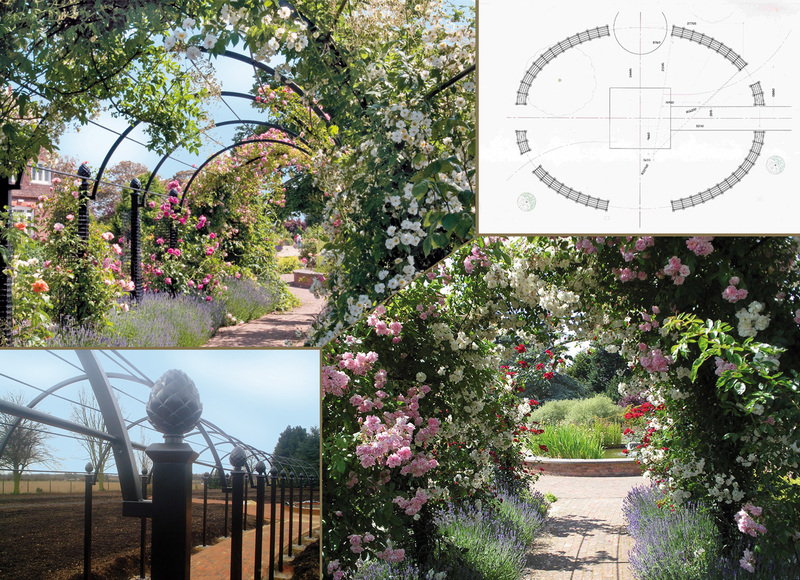 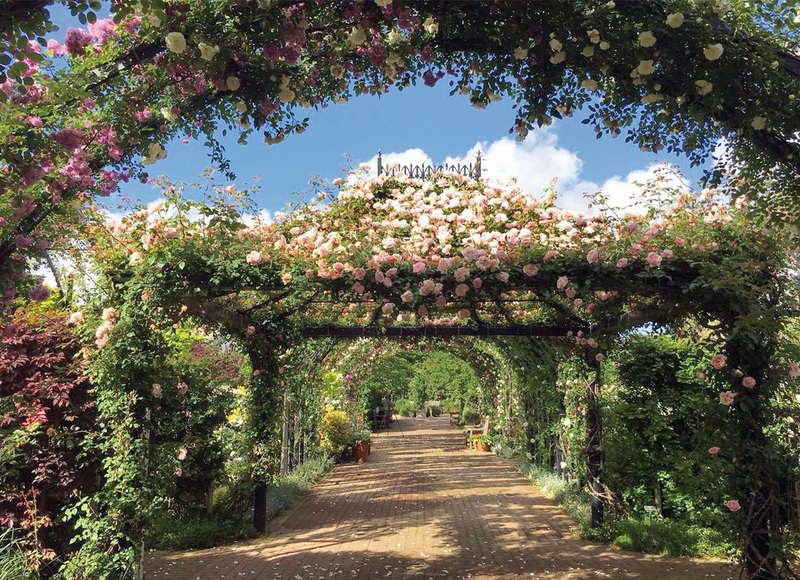 A stunning, elliptical Pergola-Tunnel of altogether 114 metres features as the centre piece for that unique rosarium. 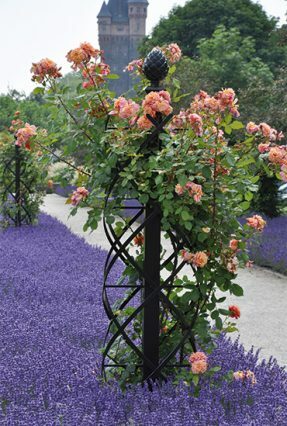 Manufactured and installed by Classic Garden Elements. 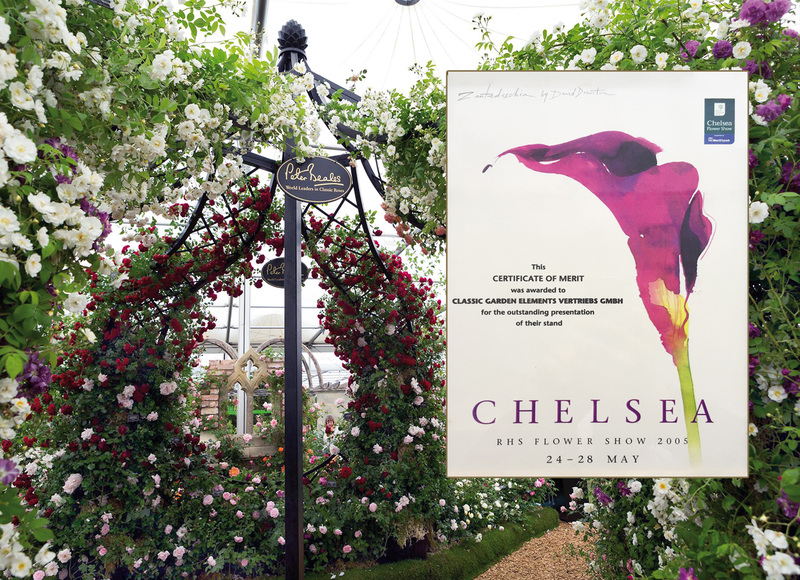 Classic Garden Elements created many a stand at the world famous Chelsea Flower Show in London, showing off our structures at their best. 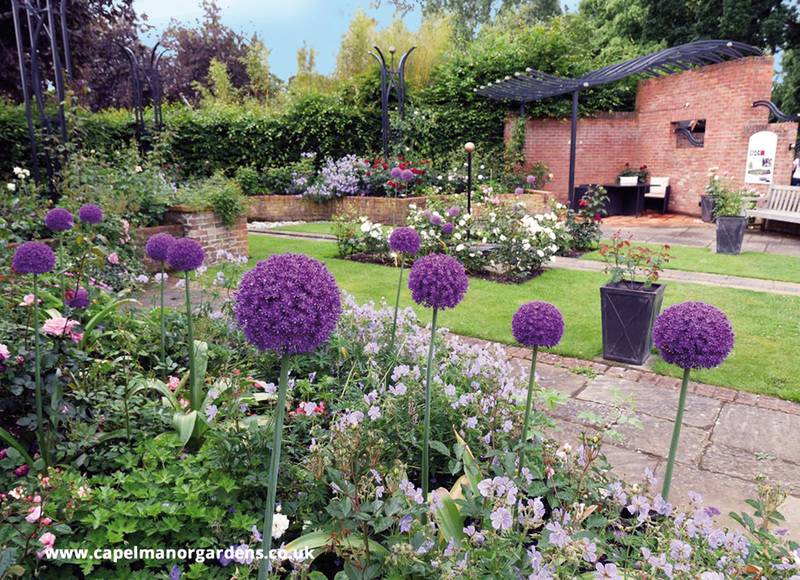 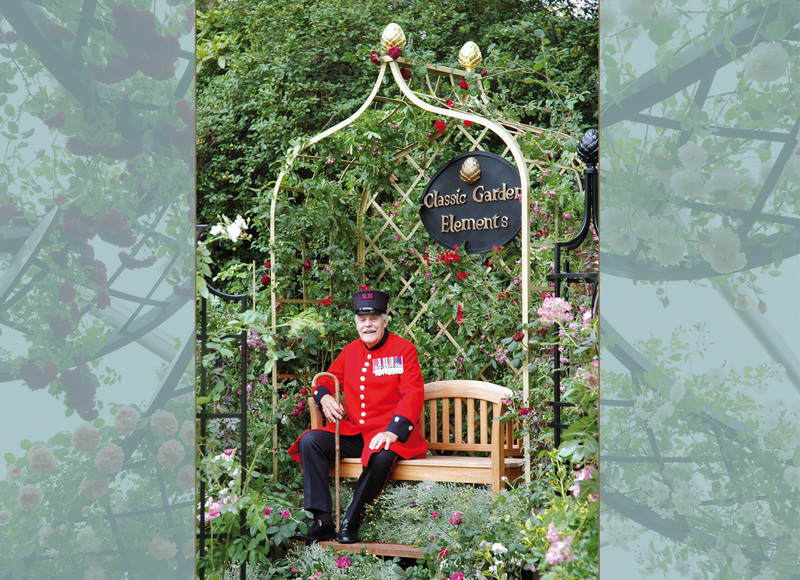 In 2005 we were rewarded with the prestigious Certificate of Merit of the Royal Horticultural Society. 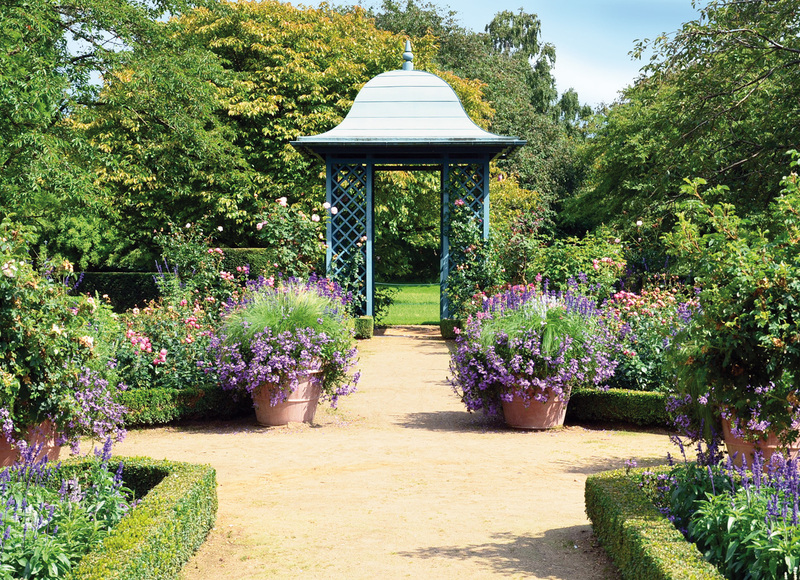 The Arboretum Ellerhoop, as it is officially known, features among the finest public parks in Germany. 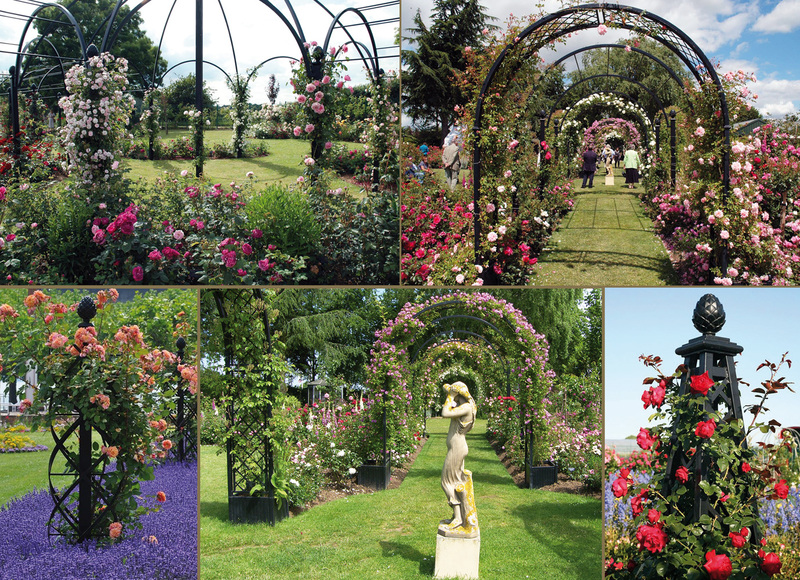 The gardens are situated just north of Hamburg. 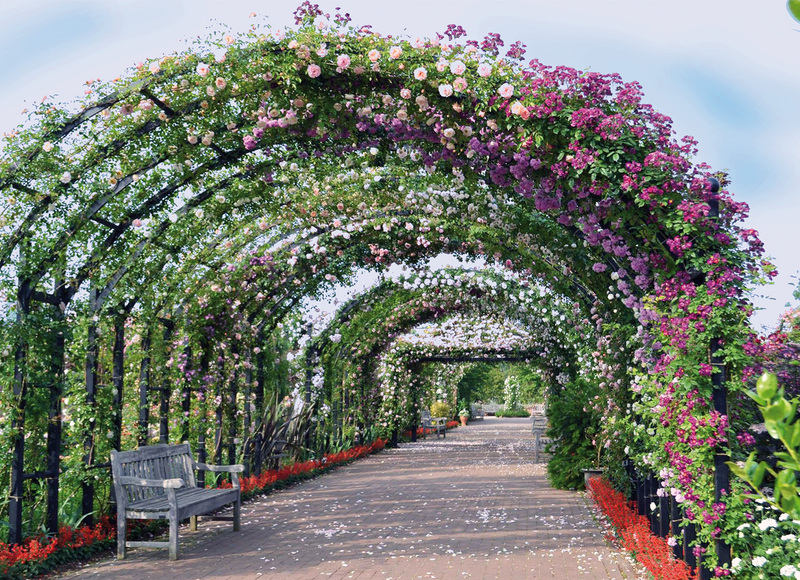 Designed and created by leading botanist Professor Dr. Warda its structures are entirely based on models made by Classic Garden Elements.